At Babyccino we are big fans of toys that inspire free play, provide room for creativity and support emotional development. 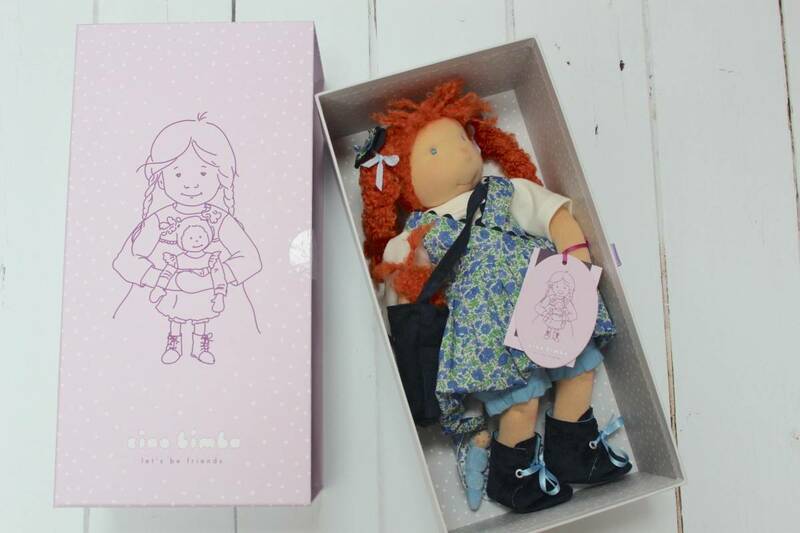 Of those toys that leave room for the magic… Ciao Bimba make beautiful Waldorf-style, all-natural dolls that are all of this and more. The mamas behind this collection have a sweet but meaningful story to tell — we asked our 5 Questions to find out more! 1. Please tell us a little bit about yourselves, where you live and about your families. Denitza: We call both London and Sofia home. My husband is a Colombian, born in New York and raised in London and I am Bulgarian. After completing my Latin American studies degree in Boston, I moved to London to acquire a Master’s degree in Entrepreneurship. During my time in London, I not only fell in love with the city, but also with my husband. A year ago, when our daughter Maya turned three, we made the decision to move back to Sofia so I could start working with Maria on our dream project. Our cosy house is on the outskirts of Sofia. The heart of our home is our garden and the playroom. 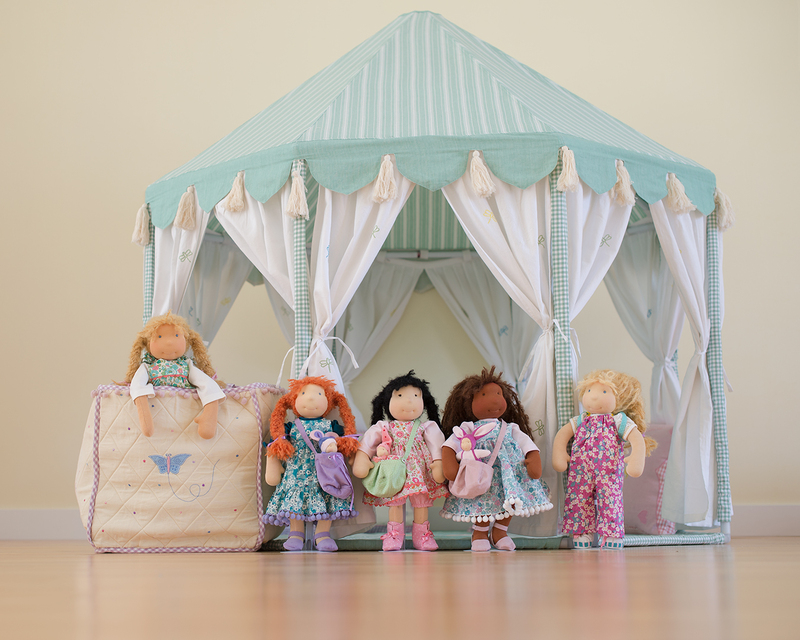 Many of the pictures you see on our instagram feed of our dolls were taken in our garden or playroom. 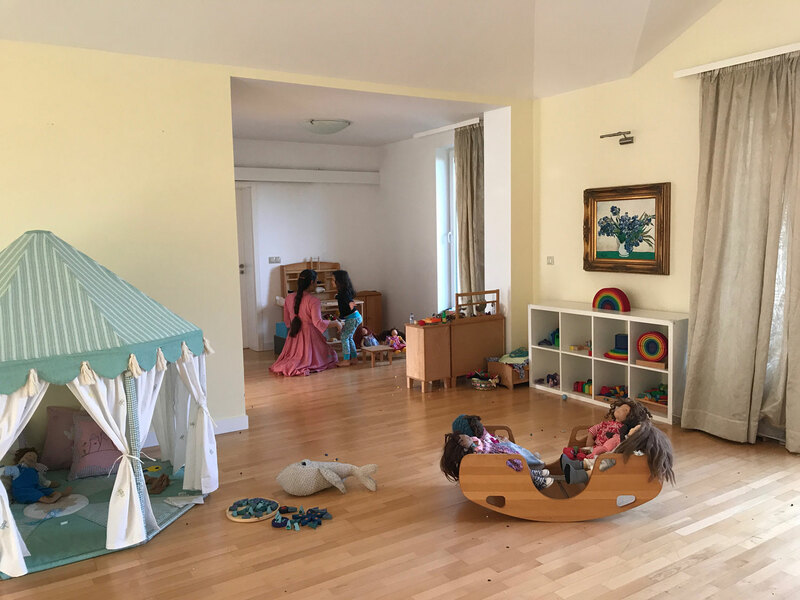 Actually, our playroom used to be the living room, but we realized we would be spending the most of our time playing in that room with our daughter. We decided to convert it into a large play area dedicated to dolls, wooden blocks, fairy houses and all things magical. Creating Ciao Bimba ended my struggle between my inclination towards the arts on one hand and my business education on the other. Now I feel finally complete, and ready to overcome all difficulties that may be in store. Maria: We live in Lom, right on the mighty Danube River. Both, my husband and I are psychologists; however, our careers developed very differently. He became a criminal psychologist whilst I channelled all my psychology knowledge into my interest in children’s development and began making educational things for them to play with. 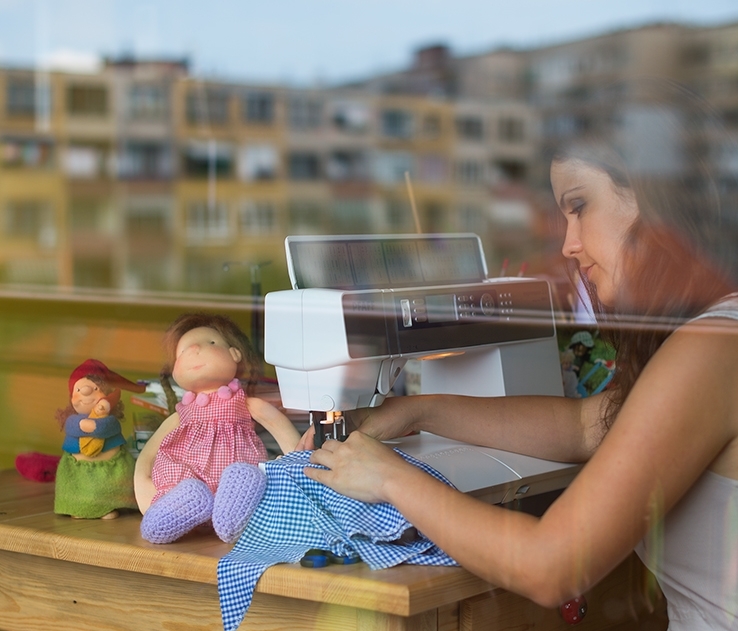 From an early age I made dresses and furniture for my dolls, but it wasn’t until my daughter Ally (now 11) was born that I decided to turn my passion into a career. I started experimenting with traditional European doll making techniques and natural materials like wool and cotton. Doll making quickly became my life. I identify myself as a Waldorf-inspired doll maker as all my dolls reflect elements of the Waldorf pedagogy that promotes the importance of natural materials and simpler facial expressions in the development of a child’s imagination. Since we started Ciao Bimba I spend half of the week in Sofia working in our studio and the other half at home in Lom working on my collectors dolls. 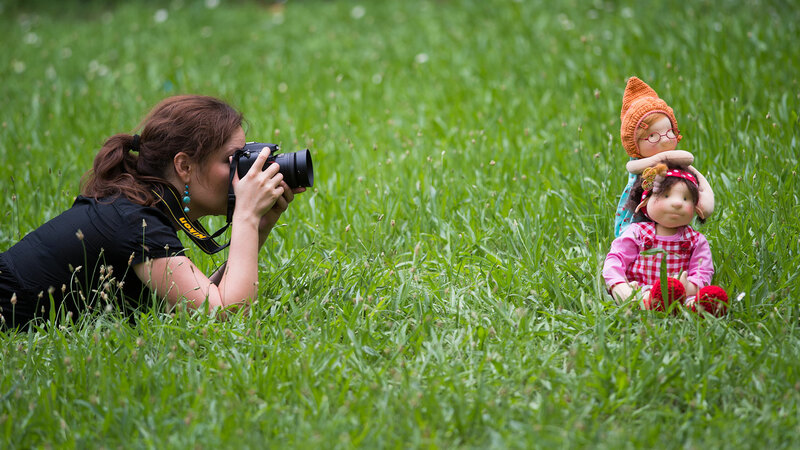 I’m an amateur photographer and I also love to write fairy tales for my daughter. 2. Your story has an interesting beginning – tell us a bit about how you came to together and how you came to create your brand. 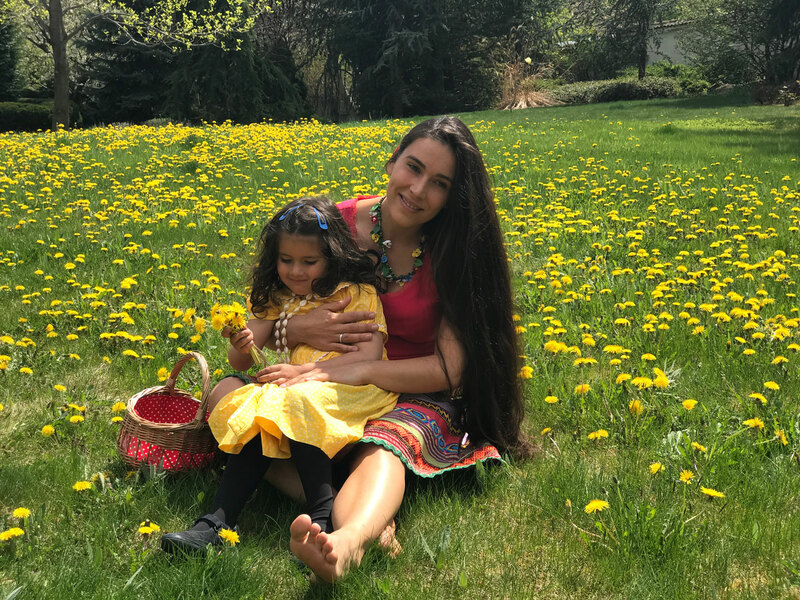 Denitza: My daughter was born with severe allergies and I was forced to rethink my whole lifestyle. I turned to nature for help and tried to incorporate as many natural products as I could into our home, from food all the way through to toys. I started researching natural toys and came across Waldorf inspired dolls. I was impressed by their simplicity and cuteness. As I was doing my research, a doll maker named Maria Asenova kept reappearing. Her dolls were so unique and full of personality. To my surprise it turned out she was Bulgarian! I immediately wrote to her, wanting to order few dolls for my daughter. She firmly refused and explained that there was a 1-year waiting list for her dolls. I was truly disappointed. I never give up easily, so I continued asking her for a spot on the list and one beautiful day she agreed. Maya had just turned two when Maria was ready with our doll. She was in Sofia for the weekend so we agreed to meet in person in a coffee shop. Maria made a small theatre play with the doll for my daughter and it was love from first sight; they have not separated since. Wherever we travel, the doll travels with us. I connected with Maria during our Facebook chats, but when I met her in person I felt like we had been friends since childhood. 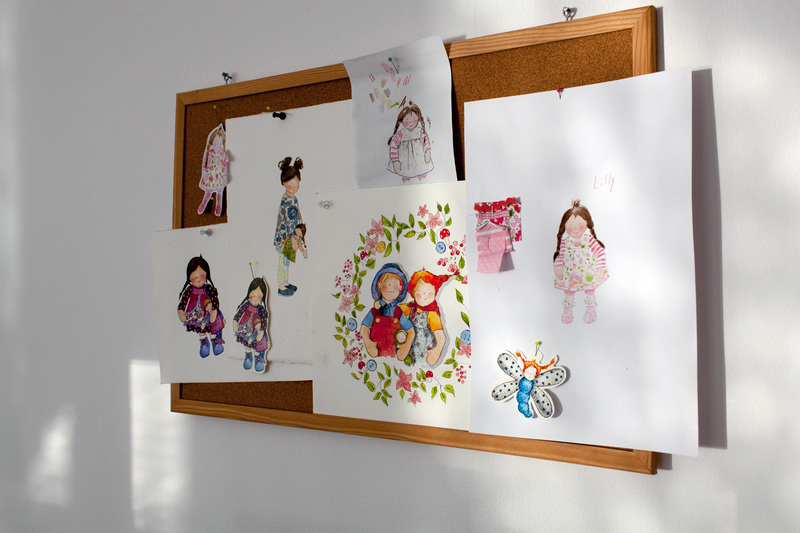 I was besotted with her Waldorf inspired dolls and wanted more – but they were so expensive! I kept asking myself whether there was way to handcraft them in a more economically efficient way. I researched all techniques and materials involved in the process and became convinced it was possible. After a few months of hesitation, I asked Maria whether she would like to start a brand together making natural dolls for children. Ones that carried the aesthetics of her dolls, yet were more affordable. I was really afraid I might insult her artistic spirit, but she was absolutely enthusiastic! Within a month I moved back to Sofia. With the support of my family we found a studio, ordered sewing machines and materials and slowly gathered a great team. Maria put her heart and soul into teaching our team of doll makers how to handcraft each detail of the dolls. 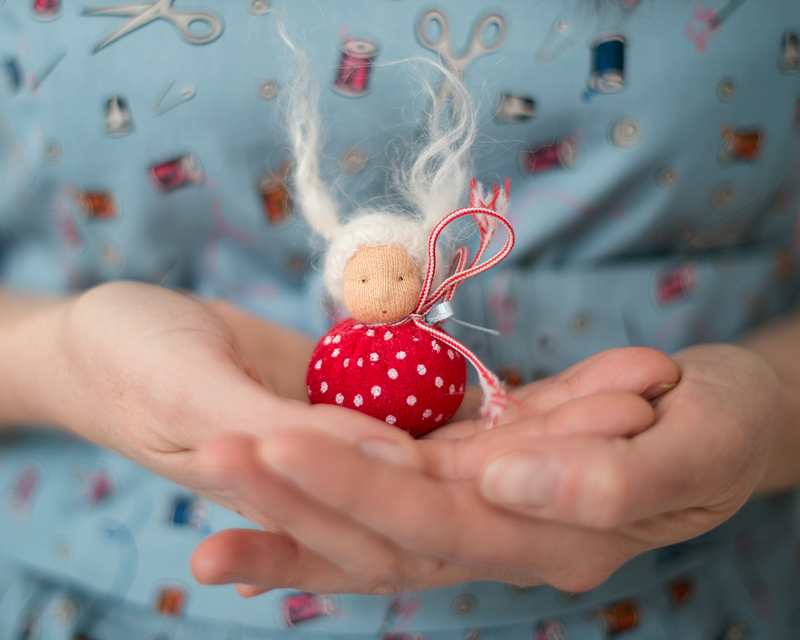 We are led by our desire to instil a bit of magic in our dolls and to make them as unique as possible. That said; we often have to find a compromise between our desire for uniqueness and suitability for young children. When we have a new model I bring it home and my daughter tests it. I observe her while she plays and often see certain details she struggles with. We try to ensure that each shoelace, button and ribbon we use is child friendly yet challenging enough to develop their fine motor skills. 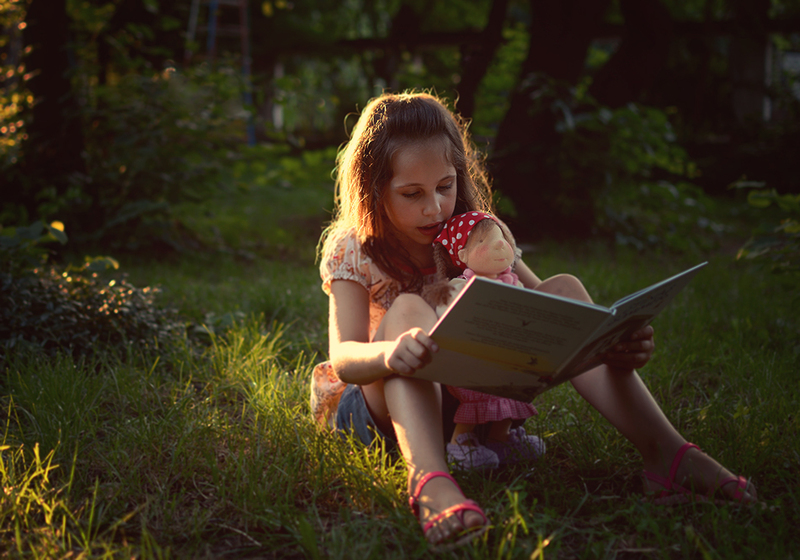 Additionally, our goal is to design dolls that every child can connect with – therefore we have dolls that represent all the children of the world. 4. How do you choose your materials? We are very conservative when choosing our materials. 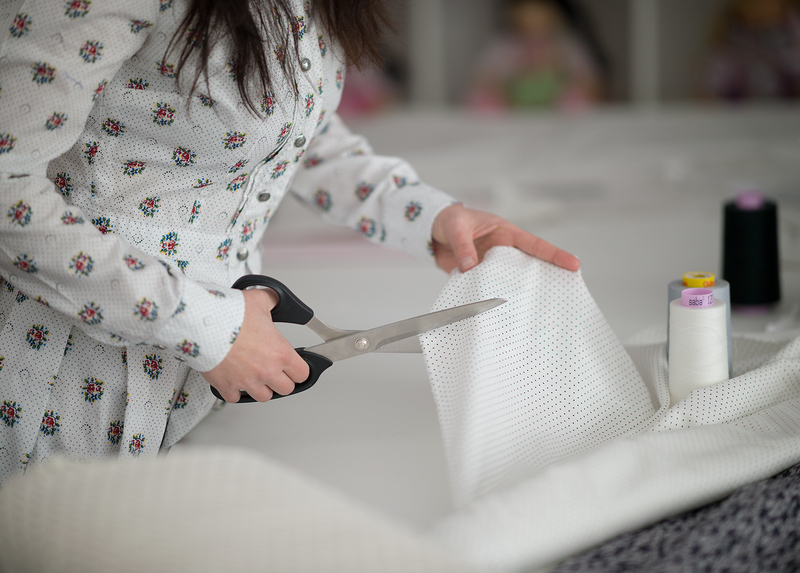 Our priority is ensuring all fabrics are safe; only then do we consider look and feel. We use only Oeko-Tex certified materials that are also tested by a Toy safety lab for compliance with the European Toys Safety Standard EN-71. So far, we have had wonderful experiences with Liberty Art Fabrics, Hilco, Westfallenstoffe and Laib Yala fabrics. 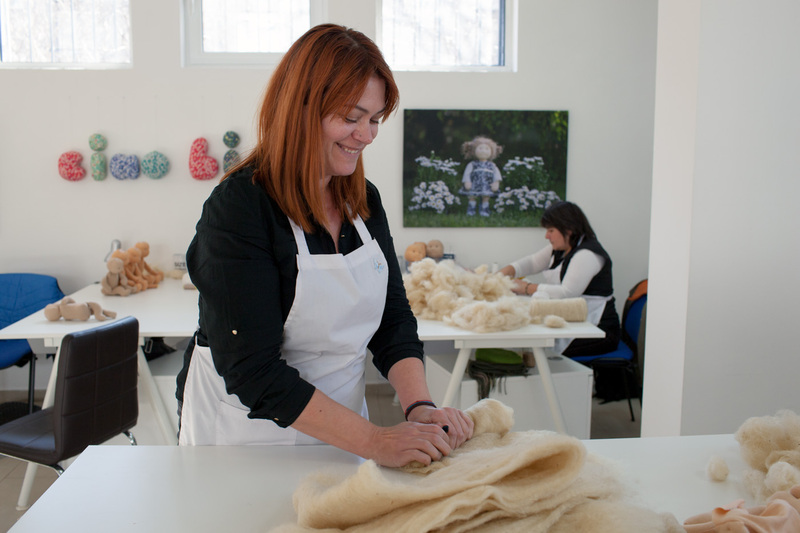 Alongside fabric our most important material is natural wool. We source the wool from local farmers who wash and card the wool themselves. We then send it to a lab to be tested for pesticides before using it to make our dolls. 5. What is next for Ciao Bimba? We have three very exciting projects lying ahead this summer. Together with Caritas we are starting a monthly doll-making workshop for refugee children in Sofia. We are also developing a doll for children with special needs. 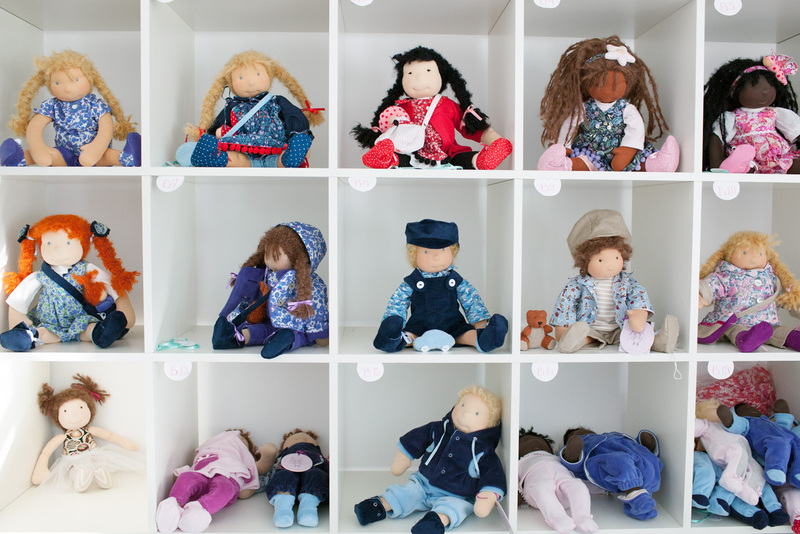 We will be teaming up with some parents in Austria and we will donate all the dolls to a local support organization. Lastly, we will hold a doll-making course in my old high school in Switzerland. It is so exciting to return there as a teacher after so many years. 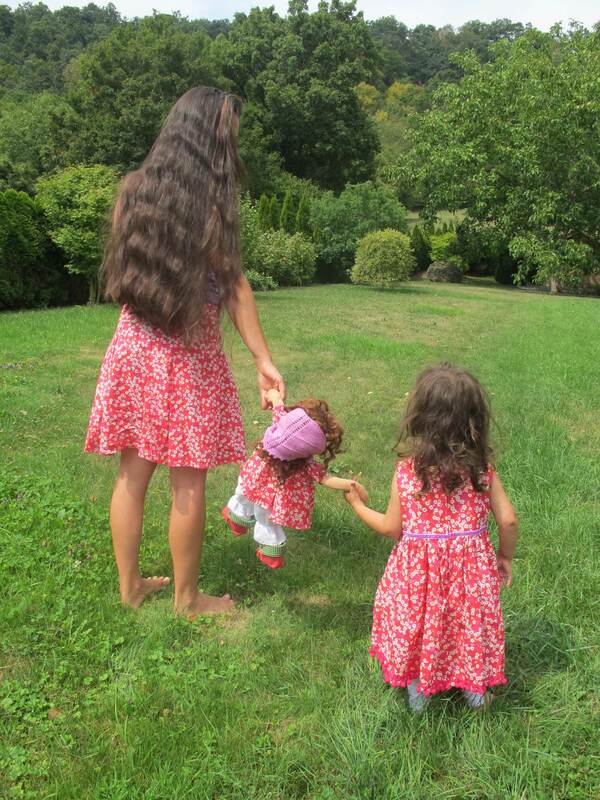 For the moment, the dolls are our priority but we plan to expand our matching clothing line in the near future. 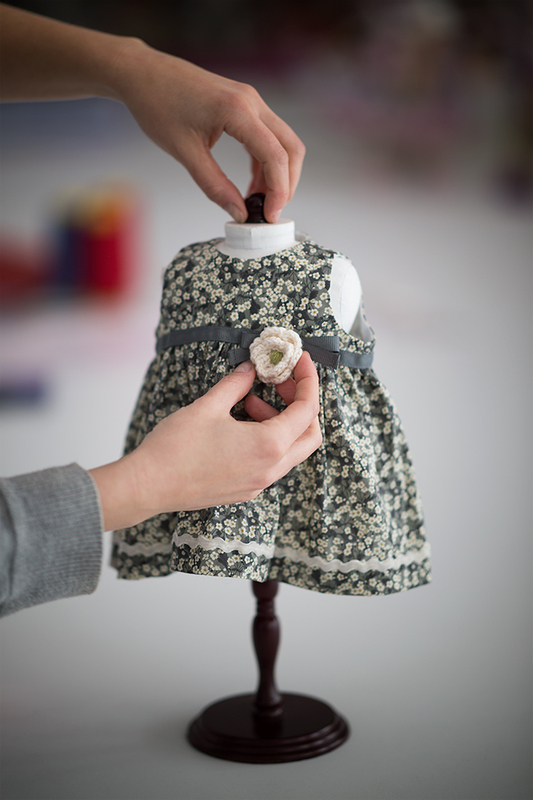 Good news for us – next up, though, Maria and Denitza will be bringing their beautifully crafted dolls to the Spring London Shop Up on the 6th and 7th of May! Come and say hi and check out these beauties in person!